Winter is an incredible time of year! Voted the #1 ski resort in North America by Condé Nast readers, Telluride Ski Resort is recognized internationally as a premier ski and snowboard destination. Telluride’s terrain is legendary and has always been revered as the best of Colorado. Learn more! The region receives on average more than 300 inches of snow annually and offers more than 2,000 skiable acres for all ability levels. With 300 days of yearly sunshine and no lift lines. The unique part of Telluride and Mountain Village is the connection between towns with the transportation of the Gondola, built to help improve air quality while expanding the ski area with the most unforgettable commute. 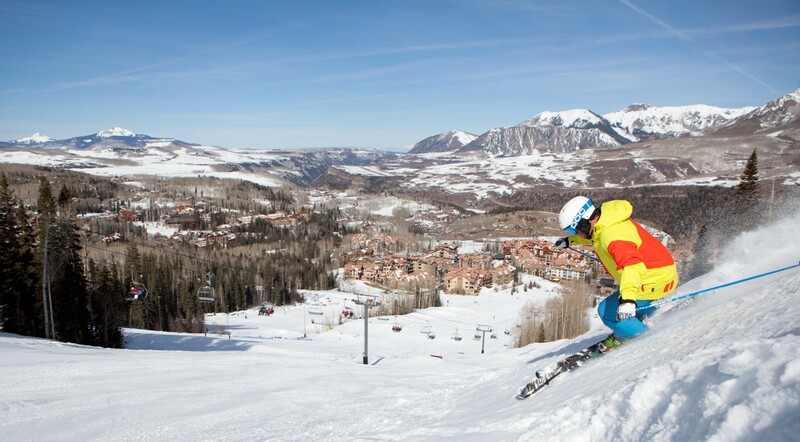 The Telluride Ski Area offers a wide variety of terrain ideal for abilities of all levels. With wide-open slopes and no lift lines, beginner skiers and snowboarders can learn the tricks of the trade in a friendly, low-pressure atmosphere. Sunshine (Lift 10), Ute Park (Lift 11) and Prospect Bowl (Lift 12) are a beginner and lower intermediate’s dream with meandering green and blue runs that span nearly two miles. Beginners also enjoy the Galloping Goose, a 4.6-mile trail that gently works its way from the top of Prospect (Lift 12) down to Mountain Village. While Telluride skiing and snowboarding is renowned for its steeps and bumps, 38 percent of the resort is intermediate terrain. Village (Lift 4), Palmyra (Lift 5) and Prospect (Lift 12) are perfect for intermediates, offering corduroy cruisers, glades, moderate bumps and short chutes. See Forever, Telluride’s most popular intermediate trail, is just over three miles long, providing panoramic views all the way to Utah’s La Sal Mountains.